What happens when two worlds collide ? the future and thereafter is the other. We can characterize these with numerous technological changes - but the biggest change is inherently human - laziness ! 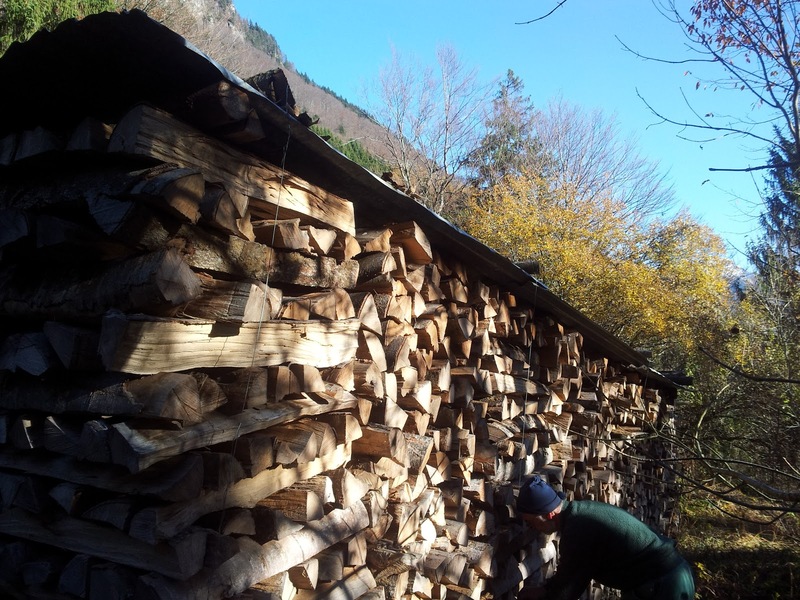 To illustrate imagine if you had to cut, split, stack, dry, carry home, saw and then chop the wood with which you heat your house and cook ! This is something I consciously decided for, to expose myself to the real cost of energy. Despite that we use tractors, chainsaws, circular saws and hydraulic wood splitters it is still extremely hard physical and sometimes dangerous work. But it is local, renewable and keeps my beer-belly in check - almost ! By contrast, in a typical 'first world' home (and now many in the so-call third world') energy is on-tap. On tap - a euphemism for energy, that until recently meant the luxury of not having to fetch water! There are obvious upsides to these changes (we put on weight, have heart attacks and get to watch more rubbish on television), but there is a subtle downside. We can now use technology to regulate comfort - so we don't need to think ! When you burn wood - it burns down. You either get up (taking action) to put another log on, or it gets colder. Thereby you work (albeit a tiny effort), and it reminds you of the greater work you will need to do during the coming summer. When you burn electricity or gas it "burns down" too - but in a power station - out of sight and out of mind. We have extremely low cost companies that remove all the effort from buying more energy, so that we don't think twice. As a result we use more! I believe that if there was a politically acceptable way to put a price on "calling" for more heat, it would help us reflect on the considerable environmental cost of taking our fuel on-tap for granted. Make peace with your discomfort. Energy, Environment, Sustainability, Technology, Wood.